To this day, Many fans and wrestling journalists cite the Muhammad Hassan gimmick to have the most genuine heat since Sgt.Slaughter back in 1991. Hassan and Davari made their main roster debut in December 2004 on the Raw brand as they got over with the crowd the minute they cut their first promo. During the 2005 Draft, they were drafted to Smackdown and then the terrorist angle happened between Hassan and Undertaker. It was made worse when WWE could not edit the skit off their show due to the real life London Train Station Bombing that happened a few hours before Smackdown aired. The Network told WWE to remove the Hassan Character off TV as his next appearance was on The Great American Bash PPV as Undertaker beat him in a match and he was never seen again on WWE TV. Hassan being drafted to Smackdown killed his career. 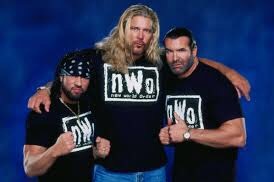 Raw’s second pick in the first Draft was the trio of Kevin Nash, Scott Hall and X-Pac as the NWO. This choice could have done great for them but Hall got fired after the “Plane Ride From Hell” incident two months later, X-Pac being sidelined with an Neck Injury in July during that year, and Kevin Nash tearing his quad during a match. 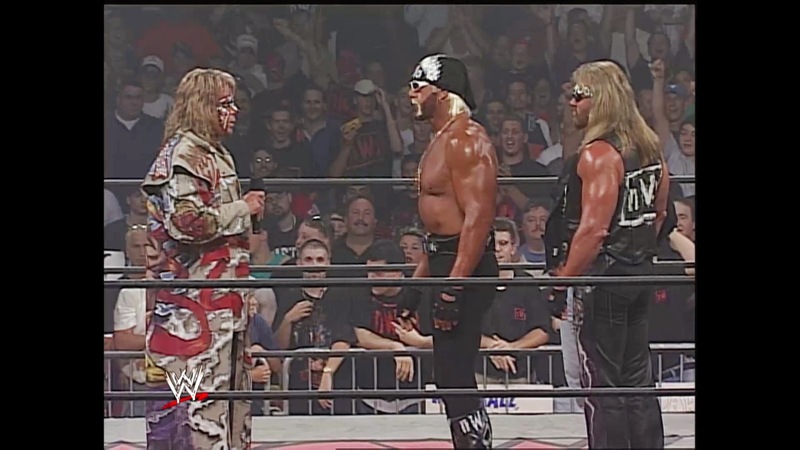 Lets just finish off with the NWO in WWE was doomed the minute Hulk Hogan turned babyface. ECW was the worst offender of the WWE Draft since their brand was revived in 2006. In 2007, The Boogeyman got drafted to ECW, feuded with Big Daddy V, and then he got an injury that took him off TV for almost two years. In 2008, the United States Champion Matt Hardy got drafted to ECW and he had minimum success as he won the ECW Championship in September 2008 but by the time his reign started, he was an afterthought as Jeff Hardy was chasing for the WWE Championship on the Smackdown brand in which he eventually won it. When Triple H got drafted to Smackdown in 2004, it was an shocking and unpredictable move. Everyone thought that his “Reign of Terror” on the Raw brand ended but then we find out the next morning that he was traded back to raw for Booker T and The Dudley Boyz. The only Superstar that benefited from the trade was Booker T as he turned heel and feuded with John Cena, The Undertaker and JBL as the Dudleyz were taken off TV by November of that year and HHH’s Reign of Terror continued on Raw for the rest of that year. Kane was the ECW Champion (repeat those words in your head) when he got drafted to Raw and he had to drop the belt to Mark henry who was traded to ECW the day after. While Kane was on Raw during this period, he had an terrible feud with Rey Mysterio, costed an DQ finish to the CM Punk vs. Batista match on PPV, and relegated to just another body on the roster within the next year. Another waste of an draft pick. 2009 was the first full year of the “PG Era” and while Raw was extremely hard to watch that year due to the weekly guest hosts crap, Smackdown was the best TV show that year due to the top stars like CM Punk, Undertaker, Jeff Hardy, Chris Jericho and much more. 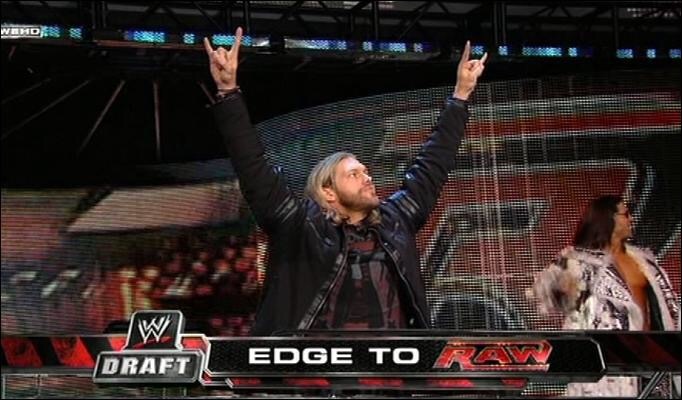 In the 2010 Draft, Raw’s picks were John Morrison, Edge, Jericho and R-Truth while Smackdown barely got any top stars. This was bad because Smackdown’s viewership before the 2010 Draft has been the highest since 2002-2004 and they took away their 4 biggest Stars away from their brand and what did that amount to? Edge returned to Smackdown later that year, Jericho left the company 5 months later, R-Truth became an joke and John Morrison was in mid card hell until his feud with Sheamus during the King Of The Ring Tournament later that year. What an crappy way to treat the Blue Brand in 2010. So here is how this happened. Melina vs. Mickie James ended via no contest due to Melina receiving an legitimate injury thus we went from one pick to two picks. 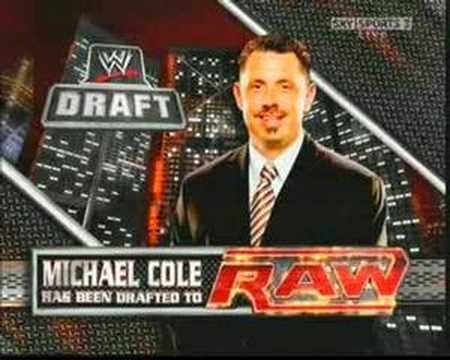 Jim Ross drafted to Smackdown while Michael Cole was drafted to Raw and from that day on, the commentary team on Raw has not been the same since. Although Jim Ross was about to quit the company, he chose to stay on Smackdown as him and Matt Striker made an very good announce team that year. I will go short with this one. Kelly Kelly was the first overall Pick for the Smackdown Brand in 2010 and did anybody cared? no. did anybody got excited? no. It was extremely pointless and that is all i have to say. The Draft picks for that year’s draft was not actually bad. But the problem was the way it was structured and i am glad that this only happened once. The Way it was Structured was that once an week, each respective brand has one pick for the entire month of June. During the first week, John Cena was drafted to Raw and Chris Benoit was drafted to Smackdown 3 days later. The Final week, both brands switched it up as they had two picks on their show as Raw drafted Big Show and Rob Van Dam as Smackdown drafted Christian and Batista. Again, not bad picks at all but both brands could have done their picks in one night instead of a span of 5 weeks. 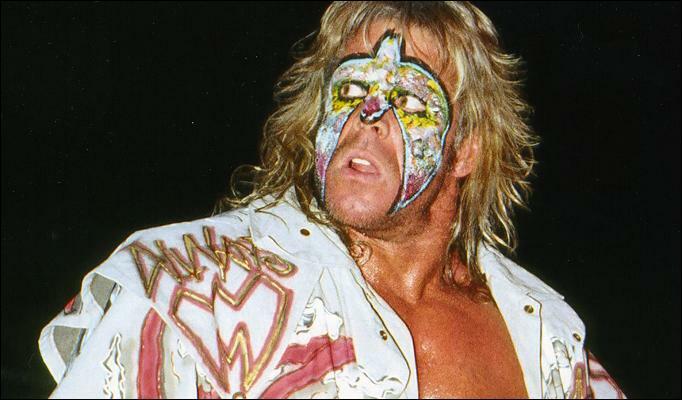 I do not think anybody who has written an list for the worst WWE draft picks/moments has chosen this moment within their top 5. We all thought that Cena being on Smackdown can boost up its relevance and star power but to only find out that he got drafted back to Raw at the end of the night infuriated me. I remember shutting my TV off when i seen that graphic on the Television as Michael Cole was laughing on commentary. But in retrospect, it was an good move that Cena did not stay on Smackdown or else the best rivalry on Smackdown in 2011 would have not happened (Randy Orton vs. Christian). 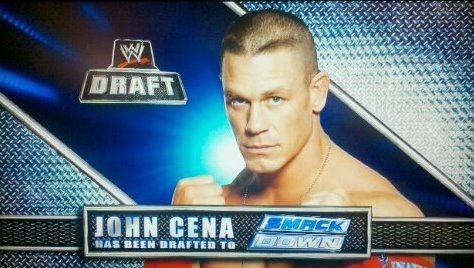 I hope WWE never pulls off another stunt like that in future drafts.